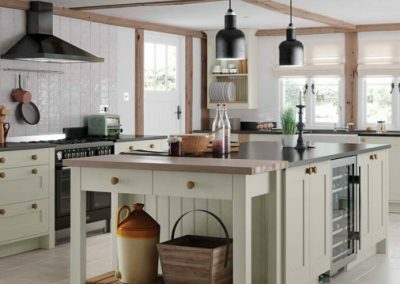 Shaker kitchens are characterised by its unpretentious simplicity reflected in the well-made furniture of minimalist designs. The designs usually comprise of doors with square frames inset with a flat centre panel. Kitchen King can effortlessly translate the versatility of the Shaker design into your kitchen, with its beautiful features that look great in wood-grain, matt, and even gloss coloured finishes. 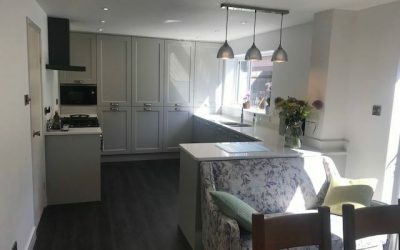 Shaker kitchens are suitable for both a traditional and modern setting and are a versatile and hard wearing choice for family homes. With a vast range of finishes and accessories to choose from, every feature will stunningly stand out. Alternatively, the pure modern luxury of the creative classic mixes chunky with down-to-earth tones to bring you contemporary, streamlined, and airy. Cooking and entertaining in a kitchen this appealing will be the highlight of your day. Do you yearn for a premium look and feel without sporting an exorbitant price tag? Then the creative classic look of the wood grain PVC finish is for you. Resembling real painted timber, it creates a warm kitchen environment for you, your family and friends to enjoy meal after meal. With an array of accessory combinations we also offer the simplicity of a creative classic finish with an uncomplicated design taking your senses back to the traditional flavours of a simpler life. With a multitude of accessories – whether you opt for a pastry bench or a plate rack, you can create the perfect space for the whole family. A combination of colours effortlessly work side by side in perfect harmony in this traditionally inspired design. Alternatively, add refreshing creative classic elements to your kitchen with the more traditional inspired design. Choose functional add-ons such as a wine rack and open shelving to transform this kitchen to the ultimate family space. From modern finish to sumptuous oak, the design possibilities are your imagination’s playground with the Jefferson. The curved corners of its solid ash doors maximise space and functionality. 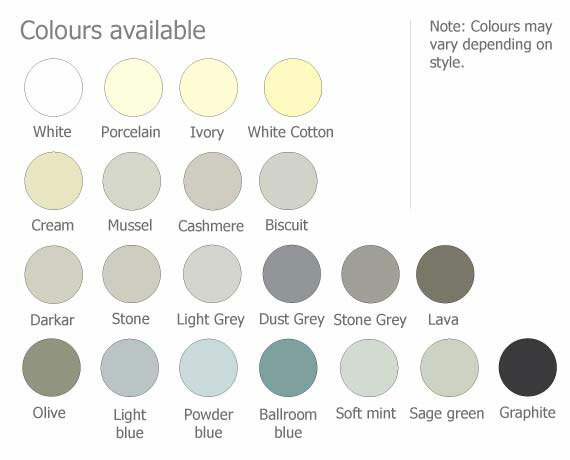 If a painted finish is more your style, you can bring your personality through with any number of colour pallets to compliment its modest price tag. The curved doors and sophisticated edge of this attractive design are fashioned to be airy, easy and relaxed – everything you want to feel when you’re busy making dinner. From framed drawers that effortlessly slide out to the stylish island and practical shelving, this is the kitchen for space and functionality. If your style is somewhere between traditional and contemporary, the Wakefield’s internal moulding surrounding its inner panel will bring your two excellent tastes together in one luxurious kitchen design. Compromise has never looked so good. There is nothing quite like the ornate detailing and soft edges of Georgian style kitchens. Now you can take your express yourself even more with the option of a range of finishes including smooth, distressed or character with distressing finish applied. For an inviting kitchen with high-end design, Dante is a timeless classic. A modern style cornice and pelmet add a bit of extra detail to complete this high-quality kitchen. Every feature that can be added to the Clonmel Knotty Oak style is certain to stand out, particularly with the majestic overmantle that can be added too. 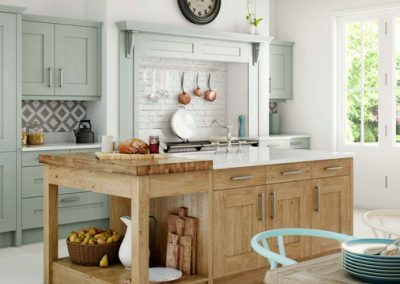 With the distinct traditional setting of this kitchen, why not create perfect harmony by adding exquisite overmantle designs and decorative brackets, or even save storage by adding inset trays and a wine rack! For a creative classic look, why not add refreshing elements to your kitchen with our range of stylish accessories: Overmantles give a little extra detail to your kitchen design, bringing out character and personality, whilst decorative brackets bring your kitchen to life and add aesthetic appeal. Additionally, save space with an inset tray to hide all your kitchen necessities and ease the wear and tear on your drawers. Our Dante Creative Classic’s kitchen is equipped with ornate detailing such as cornices’, under cornices’ and pilasters. Each detail compliments the Dante collection leaving your kitchen looking complete by adding that extra bit of high profiled detail. 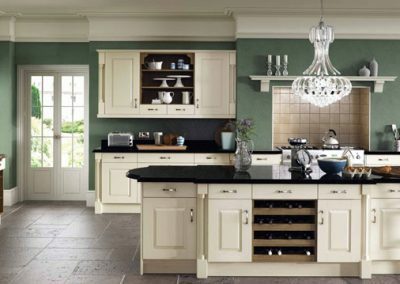 Why not add an exquisite canopy or overmantle to give your kitchen that upmarket look and feel? To save storage space or add that extra bit of detail, a wall dresser can store all your kitchen necessities. The Wakefield’s luxurious kitchen design can come equipped with a working overmantle, tucked away storage-saving solutions, and even a wine rack for those special occasions! 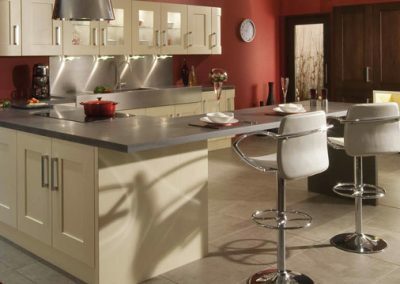 The Wakefield kitchen design is compromised of pilasters and quadrant doors which give the Wakefield kitchen design that traditional and modern edge – a great investment if your style is somewhere between traditional and contemporary! From a pastry bench to plate racks and keystone pelmets, you can add an array of accessories in this kitchen, and even save storage with inset trays and a spice rack. So if your personality type gravitates toward modern-shaker and smooth finishes, the details of this flawless kitchen design are for you. For a creative classic look take your senses back to the traditional flavours of a simpler life with an array of accessories including traditional pastry benches, where you can safely prepare food without the worry of compromising the life of your countertops, whilst adding that traditional wooden feel to your kitchen. We offer storage saving options ranging from plate racks to inset trays to store your kitchen appliances effectively and safely. With our Jefferson style kitchen, the design possibilities don’t stop at the counter tops! Explore our range of accessories to compliment your kitchen design, like a built-in drink cooler to add that touch of high-end style whilst being a feature focal point in your kitchen. Overmantles and working overmantels are offered with the Jefferson design as well as curved doors to add a subtle beauty and smooth finish to the completed look. The Windsor Classic offers a premium look and feel, so why not add all the extra complimenting details to make your kitchen work in harmony. Wine racks and plate racks can save storage effectively so clutter takes a back seat in your newly built kitchen.